Type III 26/.0100 Stranding. Nominal OD .122 inch. 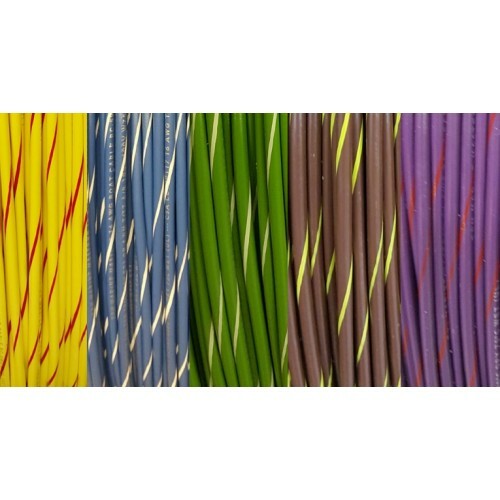 Maximum Continuous AMP Rating, 25 AMPS. 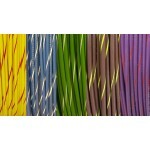 Spiral Stripe Tracer Tinned Marine primary wire available in many colors and is also very flexible, Type III stranded. Tin plated copper stranding with a jacket resistant to moisture, oil, chemicals, gasoline fuel and excellent abrasion resistance.